We currently have some trouble with our proxy servers, so we decided to delay the release of the new Factions to give all players a fair chance. The release will probably take place tomorrow afternoon. If it isn't solved tomorrow afternoon, then the release will again be delayed with one day. Months have you guys been talking about this, and now it is reality. The faction server has been reset. Everything has been redone, and everything is gone. (The ranks stay!). The new factions has huge changes, you can blow up blocks with TNT, obsidian can be destroyed with five blasts of TNT or creepers. We have chosen to give the warzone a new look. The warzone is now 1000 x 1000 blocks big, and the spawn is in the middle. In the warzone, are chests, loot chests, spread, where every few minutes, loot will be added, and everyone can take the loot. There are also now spawners in the shop. Those spawners can be used to obtain things easier. Some spawners cannot be bought in the shop, but only available in crates, which brings me to the next point. The crates. To reach the crates in game, you can do /warp crates. Then you arrive at a small canopy, with five crates. 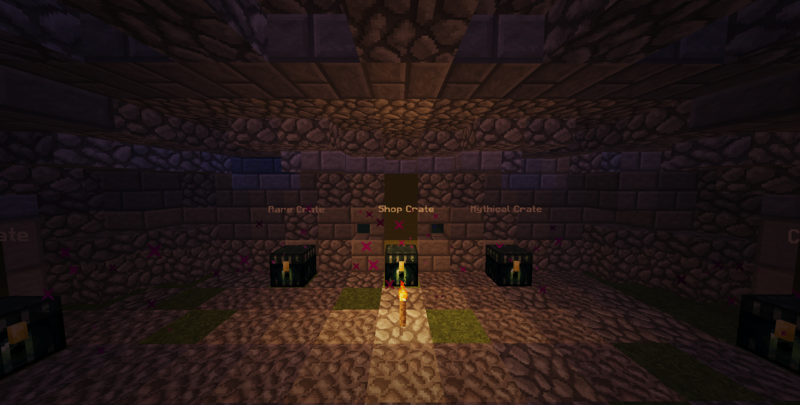 The vote crate: you acquire a vote key when voting for the server by doing: /vote. The common crate: you get in loot chests, which are scattered throughout the warzone. The weird crate: you get in loot chests, which are scattered throughout the warzone. The mythical crate: which can also be obtained in loot chests, which are scattered throughout the warzone. The shop crate: which you can buy in the store. Important Snow in our lobbies? 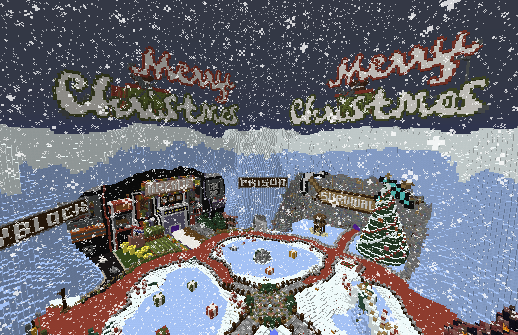 Do you guys want snow in our lobbies? The time has come that we renewed the skyblock server with a fresh one. 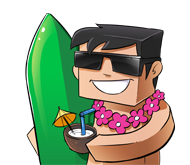 We had to at a certain point because if someone reached a big island they get bored, but also the plugin was not that great with the island limitations. What's stayed and what changed? Almost all of the the permissions that the old skyblock had stayed because those permissions were at his place. The things that changed is that we now use a new plugin where we get rid of the island limit so we can never run out of islands like we had with the old one. 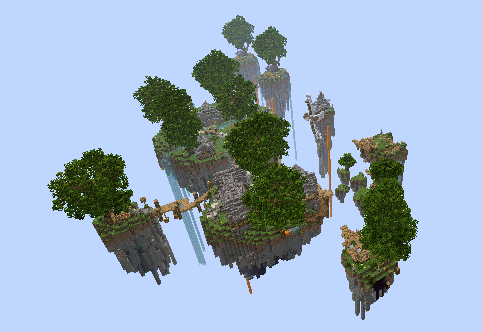 And with almost every reset comes a new spawn (Picture will be found in a spoiler below). Also some of the kits are removed, including food and eggs. Are there suggestions added to the new skyblock? It was hard to find some plugins for some of the suggestions but I did. Sale 4 Years of Hollandcraft! A few days ago, we opened Prison. You can go to Prison using the GUI, or the portal in lobby, or just type '/prison'. In prison you have to earn money by mining and selling blocks. You can break blocks, in mines, which you can reach using the '/warp A-Z'. Then you can sell the blocks by right clicking on the sell signs. Those signs are placed behind you, when you used '/warp'. When you get a certain amount of money, you can do '/rankup ', and you can go to the next mine. A plot costs $ 10,000 and allows you to build and store everything on it, also you can make shops. If you're bored, you can always come and see if there is someone to fight! There is also a bounty plugin, which you can use with '/bounty'. the bounty hunter gets the money. you can always try to reach the end of the maze. 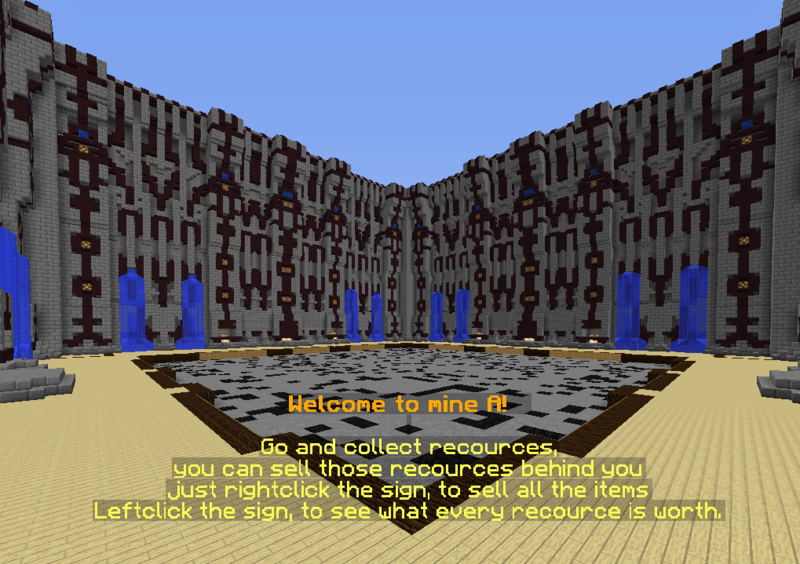 You can get there with '/warp maze'. 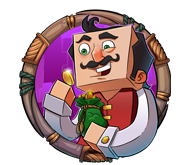 At the end of the maze, there is a reward that you can redeem once every 7 days. There are eTokens and crates in prison. But what are those exactly? Crates are chests, where, if you have a key for it, you are able to open them and get a reward. If you left click on it, you can see what you can possibly get as rewards. There are five types of crates in prison. The vote crate, which key is obtained by voting. If there are any changes, we will inform you using this topic. - 19/05/2014: Engeltje91 is our new helper and will be in charge of the staff. - 31/05/2014: The_White_Hawk has got a derank. - 31/05/2014: JFappeltje is our new helper. - 31/05/2014: Engeltje91 is promoted to Moderator. - 22/06/2014: Badasskefhas got a derank to helper. - 27/06/2014: Elie2444 is our new helper. - 27/06/2014: cianomjfserver(maikel) is back as developer. Recently we get more and more reports of players threatening other players with hacking or ddossing the others' computer/internet connection. In most cases this can be done with a skype resolver, to prevent this just go to Tools > Advanced > Connection > And then mark "Allow direct connections to your contacts only". This will prevent the skype resolvers from getting your IP, so launching a ddos or hacking will be a lot harder to do. 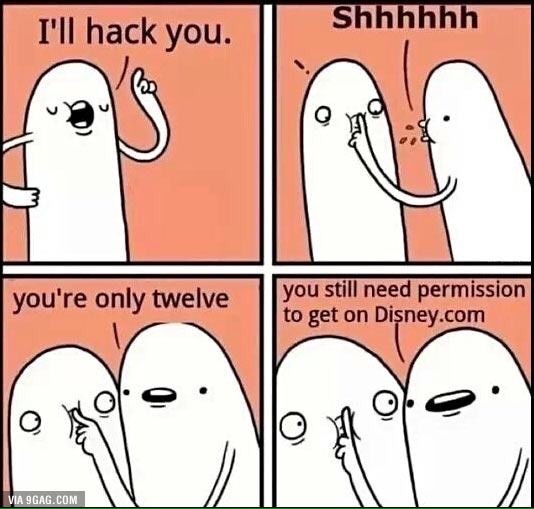 And then we will warn you on who you add on skype, Skype is something private and should only be used with people you really know well. Everything what happens on skype, is outside the power of our services, and we won't take any action with threatening through skype. If you still want to talk to other players, just use our teamspeak 3 server, you can join it at ts.playhc.ms and you can create your own channels. Everything what happens in this teamspeak server is in our power, so if someone misbehaves he/she will get a ban. You might already have noticed, I am the past few days adding more stuff to the Hollandcraft servers. The past 3 days I added 3 Bungeecord instances, this will improve the network performance by balancing it across the world. This should increase the up time and most important decrease the lag. The most important IPs are all based on the playhc.ms domain. eu.playhc.ms, playhc.eu -> Leads to the best ping for all European players. us.playhc.ms, playhc.eu -> Leads to the best ping for all players from the American Continent. NOTICE! All other IPs will be abandoned after some time, then you can't use them anymore. All other games are also being updated to 1.8, this will start somewhere this week, and will start with a brand new SurvivalGames experience, with more commands, epic stuff and better maps. After this HungerGames will be ported to 1.8. Once those games are ready, the only games that need an update is Skyblock, Skywars and Creative. Creative will be ported to 1.8 and everything will be saved. Skyblock might be a problem, due to how this plugin currently works, probably it won't be a big deal, but it have to be done. Skywars will get then the largest update it ever had, this will be online within 1/2 months. This gamemode will be rewritten and started from nothing, if everything is done it would handle more players, with fewer lag.